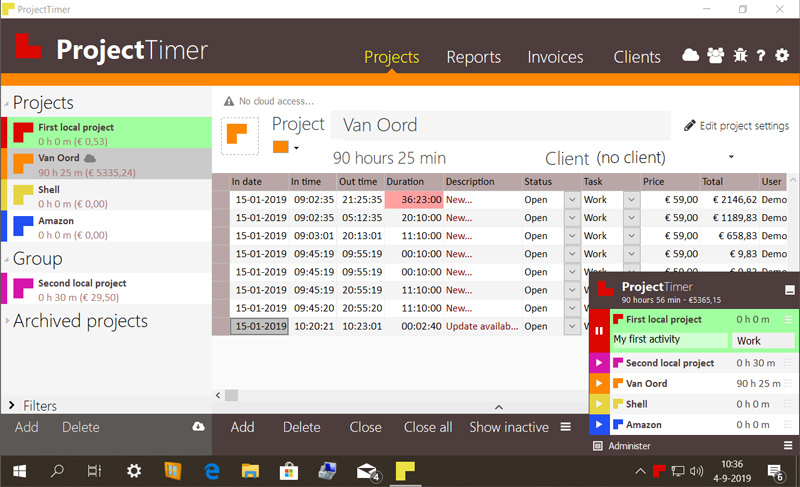 Project Timer is a simple but powerful windows application in the taskbar notification area to manage how much time you`ve spend on your projects. The use of colour will give a fast overview of which timer is running in the taskbar notification area (tray icon). This way you can quickly but non-intrusively see if the timer for the project you`re working on is running. Project Timer can be run in the Cloud and features invoicing for clients.